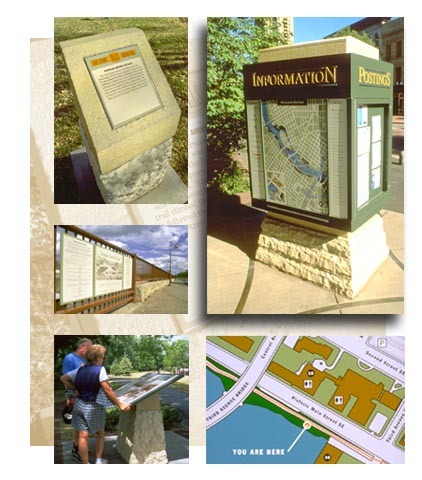 Creative development of wayfinding, interpretive, and graphic components for an urban riverfront trail system. The wayfinding system features directories, "you are here" markers, and directional signs in strategic locations. Signia worked closely with historians and staff from the Minnesota Historical Society. Interpretive text and graphic panels help visitors learn about the growth and development of this early American industrial area. The trail is highly accessible to people of all ages and abilities, and includes a remote audio interpretive guide. In addition to design expertise, Signia also provided technical specifications and installation supervision and support.